With sincere intention to preserve and uplift the reputation of our entity, we have emerged as leading manufacturer and supplier of comprehensive spectrum of Sand Bags. Widely praised for its durability and high strength, it is manufactured using standard quality raw material and contemporary technology. Omex offers wide range of PP sand bags with different utililes and add on values as per the customers requirement. 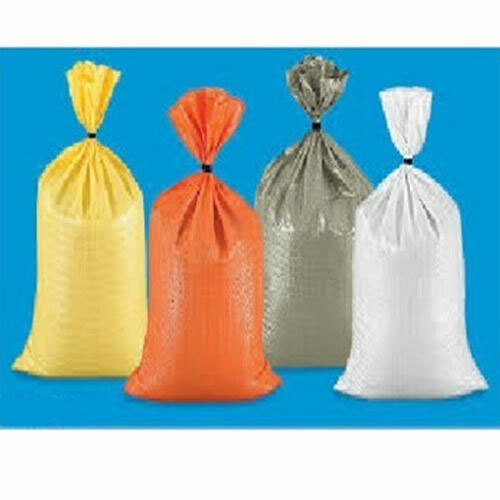 Omex offer tie-string or tie cord sand bags made of PP ( Polypropylene) with feasible and economical prices, our sandbags are available in white, green, orange, tan, beige and other customs colors. PP Woven Sand Bags are used for the purposes when rivers threaten to over-flood, field fortification by military, shielding glass windows in war zones and ballast. Advantages are that these bags and sand are inexpensive and that the bags can be brought in empty and can be filled with local sand or soil.